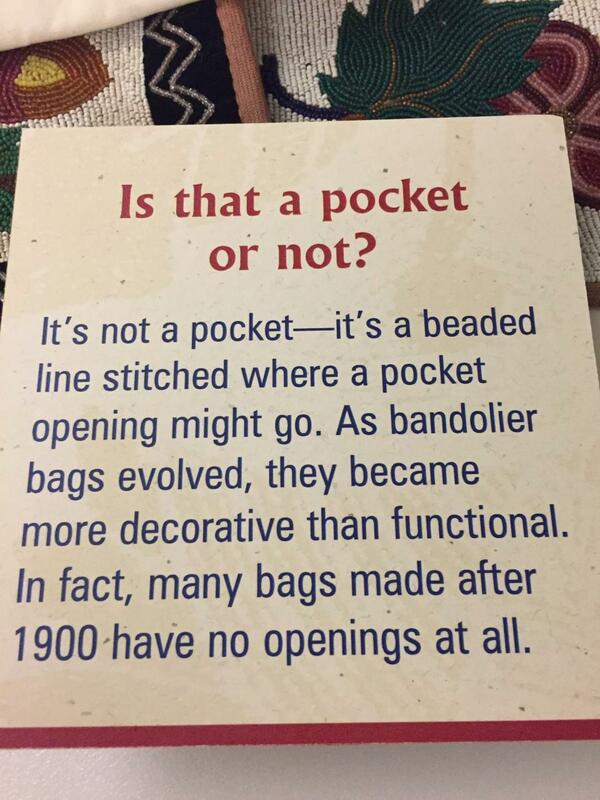 An exhibit label discussing the inclusion of a pocket. Example of bandolier bag with faux pocket. A bag is classified as an object intended to carry items and have some sort of opening and closing. Bandolier bags are no exception to this rule as initially being able to carry items in a pocket of some sort. Over the time of their popularity (1860-1930 respectively) much of the style of the bag changed. With this, was the inclusion of a pocket. While the pocket itself did not retain in some bandolier bags, there was still a representation of a pocket. 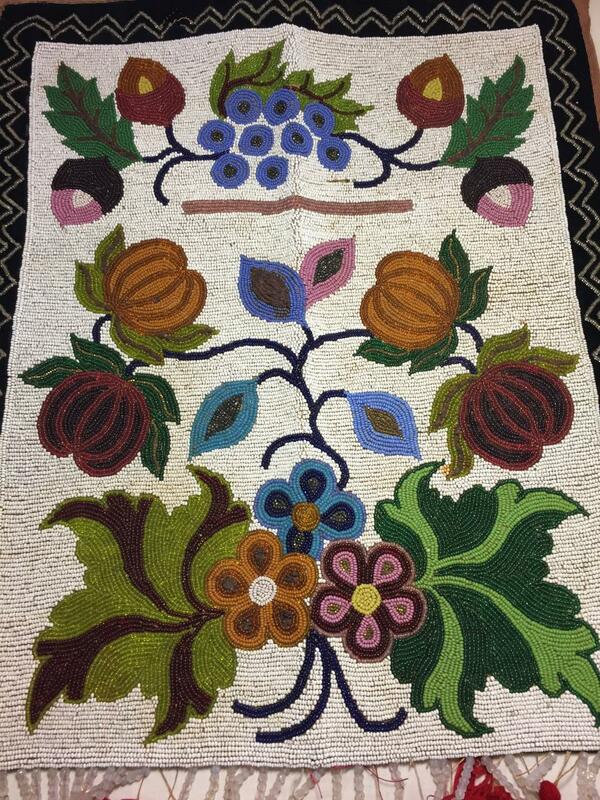 This representation commonly was made with a few lines of beads where a pocket would normally be. There are even a few bags with no front pocket, but a pocket in the back to maintain it's functional use. To learn more about bandolier bags, read the book on our bandolier bag collection by former MNHS Curator, Marcia Anderson titled A Bag Worth a Pony. And also visit our Collections Online.